In a recent article, we discussed the importance of strong leadership when it comes to motivating and retaining employees. One aspect of leadership that many Los Angeles and Southern California business owners and entrepreneurs often neglect is emotional intelligence. This is especially true in the realm of financial leadership. Relying primarily on technical skills can be a limiting factor when selecting financial leaders, as one recent study showed. In an assessment of the effectiveness of hiring and employment engagement at 1,400 companies, a major consulting firm found that among the nearly half of new hires who failed during the first 18 months, only about 10 percent failed due to technical incompetence. The remaining 90 percent failed in areas such as motivation, coachability, temperament and emotional intelligence. The fact is, there is a strong link between empathetic leaders and the financial performance of an organization. Research has shown that emotional intelligence is one of the biggest differentiators between outstanding leaders and merely average leaders. Therefore, it’s important for CFOs to exhibit emotional intelligence characteristics themselves and to look for these characteristics in the financial department leaders they hire. With these characteristics in mind, you can now create a framework for leadership and management that clearly defines how your financial leaders should be developed. This involves more than giving them a book on leadership and saying, “Here, go read this.” Without direction and left to their own, different leaders will undoubtedly interpret things differently and you’ll experience inconsistent outcomes. It’s important to note that leaders can be strong in some of these characteristics and weak in others. In fact, it’s rare to find an individual who excels in each one of these five emotional intelligence characteristics. The best financial leaders use their strong characteristics to help compensate for and overcome their weak characteristics, resulting in a well-rounded leader. We should also point out that not everyone is a big believer in the correlation between emotional intelligence and leadership skills and results. For example, one detractor suggests that a bright, strategic leader can retain talented personnel who don’t have the requisite personal connections and still maximize profits. This may or may not be accurate, but the research in support of using emotional intelligence to hire leaders is solid — and it’s hard to imagine how doing so could be harmful to an organization. One aspect of leadership that many business owners and entrepreneurs often neglect is emotional intelligence. Studies have indicated that relying primarily on technical skills can be extremely limiting for financial leaders. Research has shown that emotional intelligence is one of the biggest differentiators between outstanding leaders and merely average leaders. 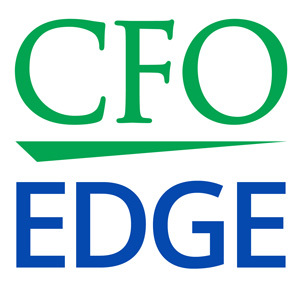 Therefore, it’s important for CFOs to exhibit emotional intelligence characteristics themselves and to look for these characteristics in the financial department leaders they hire.